Carpet Beetles are the most dreaded of all parasitic beetles for they eat organic fibres and everything made up of organic materials. They can anything to everything and cause a real havoc in your house. They can cause significant harm to carpets, wooden furniture, clothing and even your entire house if not treated the right way. Carpet Beetles can be dangerous both in adult as well as larvae form. Shed skins and faecal pellets are the most important clue for identifying carpet pillar infestation at your place. These beetles are as small as a pin head, usually oval in shape, crawl slowly and rollover when touched. 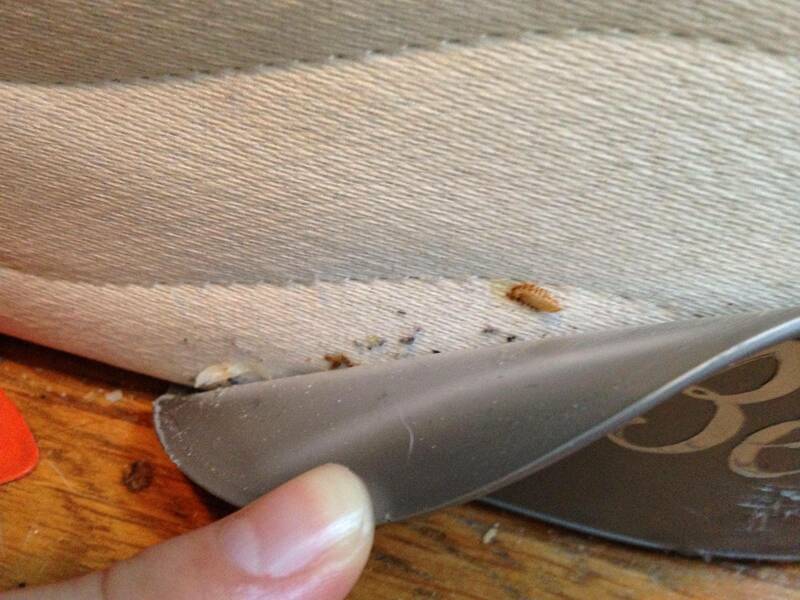 Carpet Beetle larvae are covered with a brown coloured thread like band and hair at both ends. Here we will inform you about how to get rid of carpet beetles in an efficient manner. When you suspect of carpet beetle infestation in your house, the first thing you ought to do is to trace the source of these parasites in order to plan your strategy. Since they are most attracted to organic factors, you should start looking out for dense concentration of skins or faecal pellets around carpets, garments or even upholstered furniture near dark and damp areas. These could be else found in your pet food or other food storage areas which don’t receive ample amount of sunlight. Fresh flowers, air ducts and attics could also act as hosts to carpet beetles. To disinfect your house from carpet beetles you should start with vacuum cleaning of all the carpeted areas and also the major source of beetles. Wash and cleanse all your fabrics and clothing including curtains in a washing machine or in a laundry. 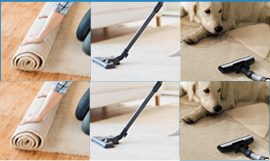 Vacuum clean all your upholstered furniture and fabrics which cannot be washed. In order to win this battle against these beetles, you may need to vacuum clean your house multiple times in a day and on a regular basis. During this process, if you come across any clothing that has been eaten by carpet beetles or contains holes, you should immediately discard them in order to safeguard against further infestation. Other clothing and garments which were not stored in air-tight containers should be washed thoroughly with hot water and detergents. Carpet beetles are very resilient, hence hot water is more effective in cleaning than cold water and detergent or soaps make sure they are washed away from your fabrics. If your house is really infested badly you may further have to clean your carpets, curtains and upholstered furniture with steam. You will have to spray insecticides that are specially made to target carpet beetles; usually insecticides that contain chlorpyrifos, allethrin or bendiocarb are the most efficient ones to disinfect your carpet and other infested areas. To kill the hiding carpet beetles you may need to apply spot fixes in cracks and crevices of walls and flooring. You can also use non-toxic cleansers like Boric Acid that destroys all pests that come under its influence, but it should be applied on dark materials as it does have a bleaching effect. Often people are worried and ask if do carpet beetles bite, be assured for they cannot bite but they can cause irritation and rash on human skin which isn’t dangerous at all. When using pest control insecticides you should always be careful and wear gloves along with protective clothing. Also, remember to move away from the area where these harmful disinfectants are applied as they will evaporate and dissolve in the air you breathe. You can also set glue traps in cracks that are hormone based and catch carpet beetles. Usually, people also create a fence with insecticides around the perimeter of their house to prevent further infestations. A little carefulness can prevent carpet beetles from destroying your home and remember you can always call up professionals who can ensure to safeguard you against these pests.